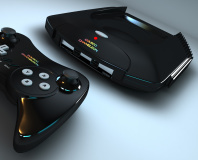 The Sega Mega Drive will live again in the form of a handheld version being debuted next week. Manufacturer FunStock will be showing off the device at the Gadget Show Live in Birmingham between April 3-7 alongside other devices including NeoGeo and Atari machines. The diminutive classic console will feature a 2.8" LCD screen and come with 20 games built into the device, including Sonic the Hedgehog, Golden Axe, Streets of Rage, Ecco the Dolphin and Altered Beast. Additional Mega Drive games can also be downloaded online and transferred to the handheld through an SD card slot. The console is expected to ship in the second week of this month and the company is currently taking pre-orders. FunStock is also behind the handheld NeoGeo X which launched last December, the first licensed NeoGeo device to be released since 2004. The company is also launching five new NeoGeo compilations alongside its new Mega Drive handheld. The Sega Mega Drive, first launched in 1988, sold approximately 40 million units during its life span. In an attempt to keep the console on shelves, Sega produced the infamous 32X and Sega CD add-on units which proved woefully unsuccessful before moving on to developing and releasing the Sega Saturn. Much of the Mega Drive's iconic library can now be bought on Steam. Tries to pass off a PCI card as a console. 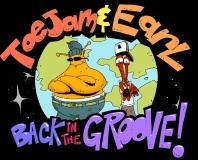 Mega Drive classic ToeJam and Earl is up for a revival in a new sequel being pitched on Kickstarter by the original creators.